Francais. Italiano. Magyar. Spanish. Српски. The Northern Lights were in the past used to explain how the spirits of the dead traveled to the Sun to be purified, before they were sent back again. Just like impure ore can be purified by fire and turned into pure metals, the Sun could purify the spirits of the dead. The purer the ore is, the more pure metal will be left after this process, but all ore will be purified by this and leave only pure metal. 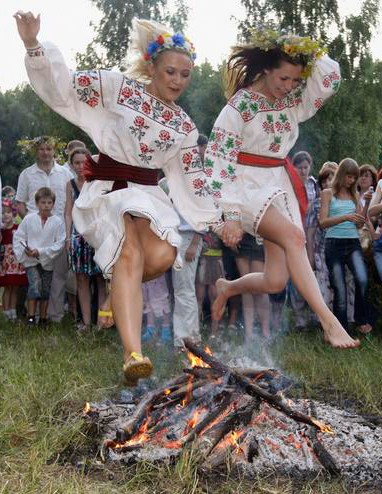 Ukrainian Pagans jumping through fire to purify themselves. The European idea is that in life we can grow or whither, we can become stronger or weaker than we were, and we can remain pure or fail to do so. In the end though, the Sky God weighs us in his hands (the Sun and the Moon) on the sky and if we are found too heavy (dishonour is heavy to carry) we cease to be (i. e. no punishment, no torture, no Hell!). If we are found light enough we are purified and sent back to life free of all dishonour. The more honour we gained in life, the closer to the divine we start the next time we are born. To reach the divine we need to be honourable to start with, and to continue to gain honour for generations, without falling into the many pits life leads us past. Always do the honourable thing. HailaR TîwaR! You have just imagined a life in a European Europe. Let us work together to rebuild what once was, and make room for it in our different world today. HailaR WôðanaR! As some of you might understand I miss Norway. Not today’s Norway. Not even the Norway I grew up in. I miss the Norway that used to be, long before I was born. How can I miss something I never knew, you say? Well, what makes you think I didn’t know Ancient Norway? I was there, and the memory is stored in my blood and my spirit. 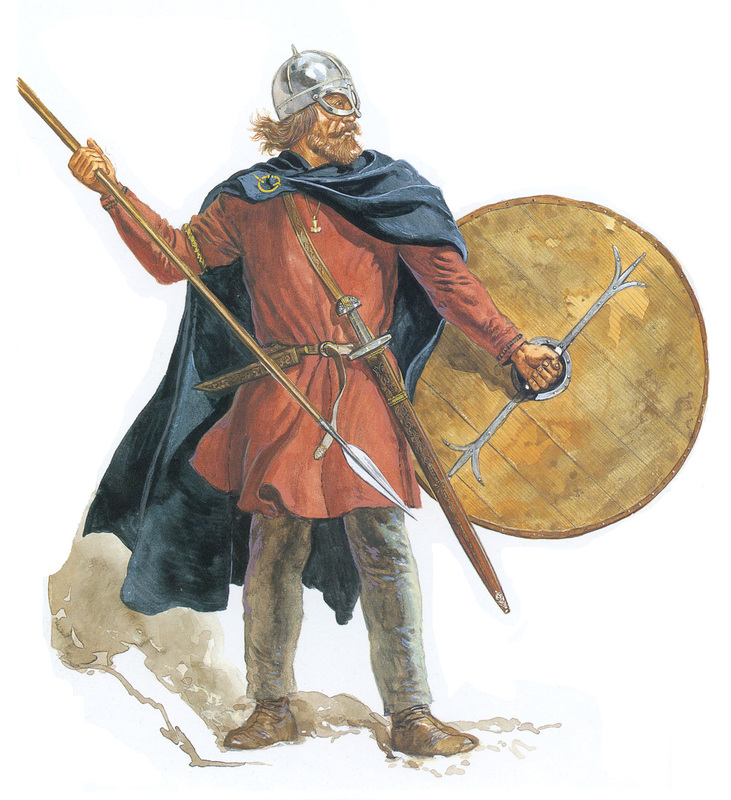 My forebears for thousands of years were all Scandinavians. Yes, I miss Ancient Denmark as well, and Ancient Sweden. I was there too. I have not only Norwegian, but also Danish and Swedish forebears. Scandinavia (*Skanþin-awjo; “Skanþe’s land by the sea”) is my homeland, my cradle, my hope, my love and my pride. My grave too, I hope. Scandinavia and the Europe she is a part of is the only motivation I have for my vocal attacks on internationalism and the depraved internationalists. I hate nobody. I only love what is my own, and when necessary at the expense of what is not. If I ever come across as aggressive and impolite, as ruthless and perhaps even cruel, you now know why. Bear with me; I fight for the roots of the tree that nourish me and keep me alive. Missionaries are strangely enough often talked about in positive terms here in Europe, but I think we should all open our eyes and see what these people really are and what they really do. In France one of the worst of these genocidal maniacs is celebrated as Charlemagne, “Charles the Great”, known best in Pagan circles for his coward Massacre of about 4.500 unarmed Saxon captives in Verdun. The Wikipedia post describe the revolting massacre like this: “The Massacre of Verden (…) was a massacre of 4.500 captive rebel Saxons in 782. 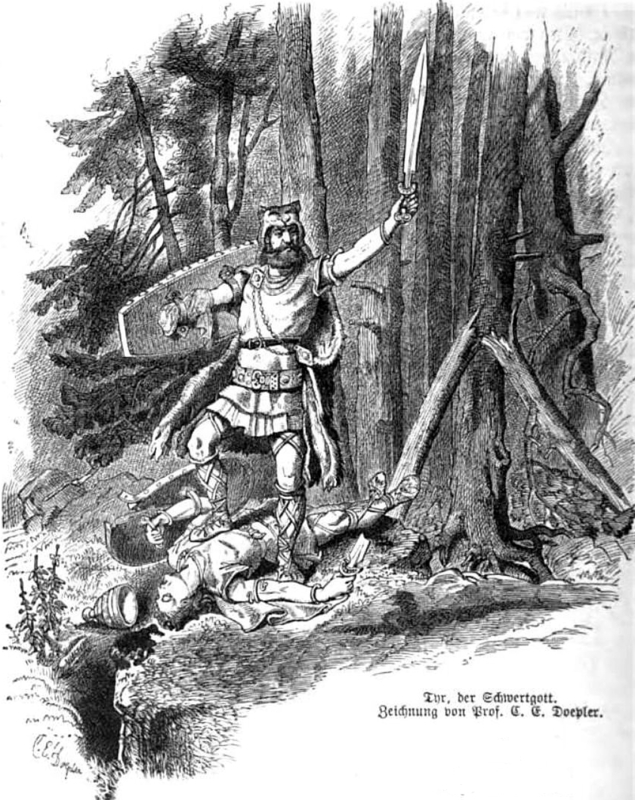 During the Saxon Wars, the Saxons rebelled against Charlemagne’s invasion and subsequent attempts to Christianize them from their native Germanic paganism”. In my book the defenders don’t “rebel” against invading armies trying to destroy their culture; they fight back. They resist. And rightfully so. This is called war. 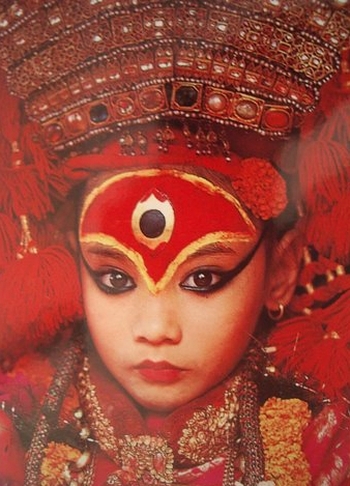 Take a look at Nepal, a country that used to be Hindu, for ages. At one point they allowed Christians to come to their land, but banned all missionary work. But after some lobbying, threats and bribes, the Christians were “finally” allowed to spread their foreign religion there too, and of course when the Nepalese natives resist them they are described as terrorists. The Christians there accuse the Nepalese for persecuting them – “only” because they try to destroy everything that is theirs, and “only” because they are funded by wealthy foreigners in a poor country. What economic power do you think Nepal has to defend themselves against this? They build their churches and schools en masse, to spread Christianity in Nepal, and those who resist this are described as backward terrorists! The arrogance of the Christians is extreme. Their basis is that all other religions are worthless and must be eliminated from the face of the Earth. All other cultures than their own Hebrew culture are seen by them as not only worthless, but outright Satanic and evil, and they are doing a good thing when they destroy them. Yes, the missionaries are so deluded that they think they help others by destroying everything that is theirs! 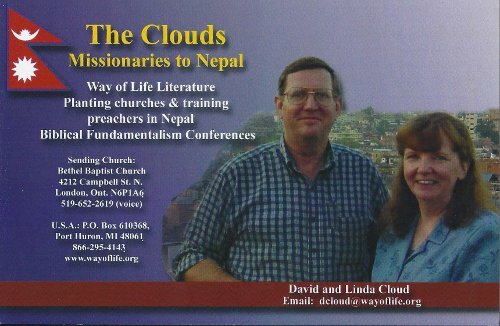 Christian missionary at work in Nepal! The Christians are not in Nepal to help the Nepalese; they are there to destroy their culture, their religion and their heritage – and to replace it with their own. With what right are they doing this? Why are nobody screaming up in protest against this genocide? Where is the media when the Nepalese are being exposed to this coward, despicable and revolting genocide? They sure remember the Holocaust, when the Jews were the main victim, but apparently nobody else matters. Only the Jews matters to them. And of course that makes sense: many of the journalists and the newspaper owners are Jews themselves or Christians (e. g. artificial Jews) (just Google it). So when we teach our children about the horrors of the Holocaust, over and over again, year after year, so that such things shall never happen again, we at the same time do nothing about a genocide going on in Nepal as we speak. Nobody cares. Because the Nepalese are not Jews. They are “just” Pagans. Because they are victims of a genocide carried out because the Christians want to destroy all non-Jewish religions, cultures and ideas on this planet, and replace it with their own Hebrew religion, culture and ideas. All Christian (and Muslim too, of course) missionaries on this planet should be sent to the international tribunal in Haag, charged with genocide or for having the intent to commit genocide. They are destroying culture, religions and ultimately entire peoples too. Like they have done in and to Europe. They are destroying the little human diversity we (still) have left here on this planet! Europe was Christianized, but Christianity is a Jewish religion, so it has no roots in Europe, or in the European man (or in Nepal or the Nepalese people!) The only things we can appreciate in Christianity are the elements that are actually not Christian; the Pagan elements included in Christianity during the Christianization of Europe. A small gust of wind, a little fresh air, will send Christianity flying out of Europe, and back to the “holy land”, from whence it came. A little rainfall and the fire consuming Europe will be extinguished in no time. A little thump with the foot and the Hebrew faith will be crushed completely in Europe. It has nothing real linking it in any way to Europe, save the Pagan elements, and we don’t need Christianity to keep them. And if you ever wondered why they are so aggressive towards me, that little annoying Norwegian musicians living in Corrèze, you now know; I open my mouth and breathe in the “wrong” direction, and they fear that their house of cards will come falling down because of this. The European religion is in our nature; it takes so little effort to re-kindle the Pagan flame! Europe can wake up in no time. They know it. They fear it. The “enemies” see their power at risk of vanishing in thin air overnight. Europeans like me don’t care about “the holy land”, the “holy bible” or “the chosen people”. HailaR WôðanaR! The Kumari; an important Hindu-Buddhist symbol that the Christians in Nepal are trying to Christianize, just like they Christianized our European deities and turned them into “Saints” when they Christianized Europe! Mankind is not a static entity; mankind has changed a lot since the Old Stone Age. Not just because of evolution, and indeed not even mainly because of evolution, but because of hybridisation – something we more commonly simply call ”race mixing”, or even “the mixing of species”. The modern European man is a hybridised being; he is mainly still a Neanderthal (on average 99.7%), but he has some African (i. e. homo sapiens) genes too (on average 0.3%). This mixing occurred probably during the Ice Ages, when some of these proto-Europeans were driven south by the extreme cold in Europe, and there (in the Middle East and in North-Eastern Africa) they met the physically and intellectually much weaker proto-Africans. Most likely the proto-Europeans killed the proto-African adults, but not the children, and every now and then they adopted a surviving African child out of pity (a trait still very strong in Europe). On rare occasions these adopted children were allowed to mate, and because they were of different species only the female offspring was fertile. On rare occasions the mixed blood survived for more than a few generations, and when it did their African DNA was taken up in the tribes of the proto-Europeans, and was eventually fairly evenly distributed amongst them. When these mixed proto-Europeans returned to Europe – after about 120.000 years of Ice Age – they brought these genes with them, and the African DNA was thus further distributed in the European populations. The further north, the fewer individuals with African genes survived, because they were after all not at all an advantage in Europe, and thus Europe was left with a population fairer, blonder and more blue-eyed the further north you come. Everyone in Europe today has some African DNA, and this changed the European man. Most obviously he became physically much weaker and his brain shrunk – because the size and shape of the skull changed. He is largely the same, but these small changes in the European man had a lot to say in relation to most things. Some see these changes as positive, because they most likely led to the creation of civilisation, of high culture and high tehcnology. Others see these changes as negative, because they led to a long list of health issues and even mental issues for the modern European man. Most likely almost all problems we have that are related to our nerve system and almost all autoimmune problems are a direct result of this. The metaphysical despair, and probably almost all other mental problems modern Europeans in particular suffer from are a result of this. If you want to know more about this you can read the posts on atala.fr. I will return to the topic of civilisation, of high culture and high tehcnology, though, and try to explain why this happened because of the mixing of species. You see, there is an apparent paradox here: the more intelligent proto-Europeans did not create any civilisations, any high culture or high technology that we know of (although that might be the only problem in this context; we just don’t know of it today. 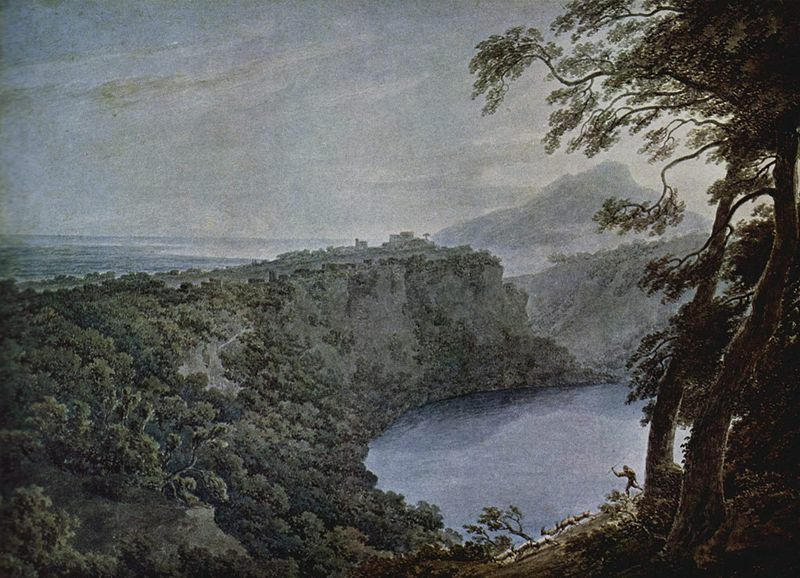 It might well have existed), but the less intelligent mixed Europeans did. If the unmixed proto-Europeans were more intelligent then why didn’t they do this? We are born infants, then we are children for some time before we become adolescents, and finally adults. When we were proto-Europeans (remember; i. e. Neanderthals) our skulls changed when we became adolescents. Neanderthal children had the exact same skulls as modern European children do; our forebears didn’t develop the well-known Neanderthal facial features until they became adults. Today the European man never does; so in a sense he remains an adolescent. Young women are supposed to be attractive to men, in order to be able to choose between many men to find the one she thinks is the best for her, and then when she has done so she is supposed to grow up and raise her children and focus on her family instead. Modern women are obsessed with their own beauty even decades after they are married and have had their children, and keep trying to be attractive to other men, because they never actually grow up. The mixing of species has led to them not developing as they should, so they never develop their adult skulls. Young men are supposed to impress young women, with their skills, their strength, their crafts and their courage, in order to be chosen by the best women, and when they are they are chosen by one they are supposed to grow up and provide for their families whatever they need; food and security in particular. Modern men never stop trying to impress women, even decades after they have been chosen by a woman, because they never actually grow up. The mixing of species has led to them not developing as they should, so they never develop their adult skulls. The consequences to this are many, but let us for now at least focus on how this led to the creation of civilisation, of high culture and high tehcnology, and first and foremost in those areas where the hybridisation had been most widespread; in Southern Europe, in the Middle East and North-Eastern Africa. In the less hybridised areas of Europe the men grew up more and for longer than in the more hybridised areas, and even into historic times the men in Northern, Eastern and Western Europe actually became real adults, with real adult proto-European facial features and skulls (and thus brains). So the women in these areas were less “slutty” – as discussed by Cornelius Tacitus in hos book Germania – and the men less childish. 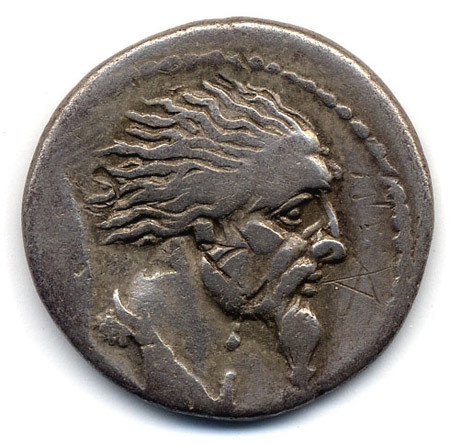 Gallic coin. Image of man withNeanderthal facial feature. 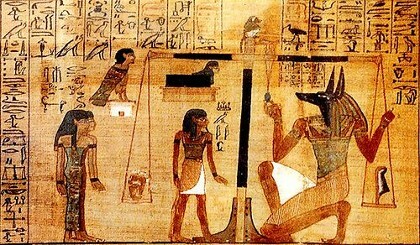 In the more hybridised areas of Europe, which genetically speaking includes the Ancient Egyptians, and we assume also the Sumerians, the men kept competing for the favour of the women throughout their lives. Because the men never really grew up and became adults they always tried to impress the women with what they did even after they had grown old and wiser; their art and architecture became more and more impressive. Everyone wanted to show off with whatever they did, to impress the most attractive women, and if one did something great the others wanted to do even better than him – all in order to impress the equally immature women, who in turn kept doing their best to be attractive to all men. 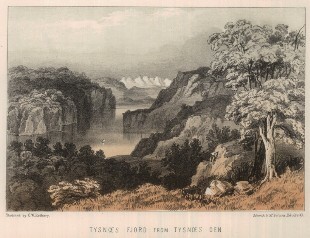 In order to keep doing so the men needed new techniques and new ideas, and when old and wise they were able to create new techniques and come up with these new ideas, and that would explain the birth of civilisation and high culture in these areas. The proto-Europeans developed technology too; spears, javelins, bone flutes and much else, but they had the wits not to go too far. They knew when to stop, and because of that lived in harmony with nature. The “primitive” Neanderthal Europe lasted several hundred thousand years. How long will the “advanced” high tech Europe last do you think? HailaR WôðanaR!